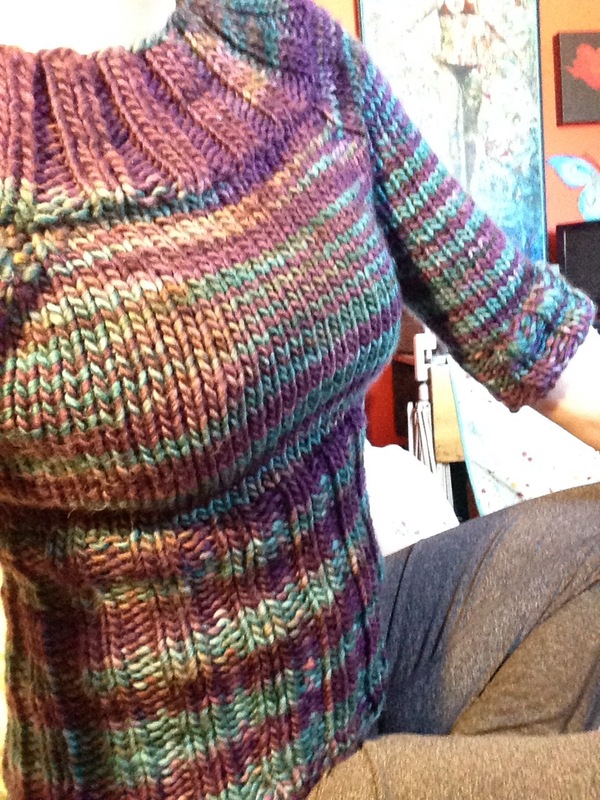 This is my adapted version of the Oatmeal sweater. Knit with Fleece Artist, single ply bulky. I wish I had more of this colorway, the teal and purple have a brilliant sheen. It feels great next to the skin. I love how wool can be cozy and warm yet breathable. I absolutely love that!!! The colours are so pretty!!! You are amazing! !